How Far is Ravinanda Sky Square? Situated at yewalewadi near Khadi machine chowk, Sky Square offers the lifestyle of comfort & convenience for your entire family. From corporate centres to educational institutions (Sinhagad College, Trinity College) and from hospitals (Ruby Hall, Inamdar) to shopping malls this locale has it all. Yewalewadi is all the more special because of its open green areas, easy accessibility to any part of the city and efficient infrastructure along with effective civic administration. RCC Framed earthquake resistance structure. Attractive laminated main entrance door. Laminated flush doors for toilet. 2-track powder coated aluminium sliding doors for terraces. Gypsum finishing to all internal walls. Oil-bond distemper paint to internal walls. Concealed plumbing with premium quality CP fittings with hot & cold mixers. Designer glazed dado tiles up to lintel level in all bathrooms. Solar System for Common Bathrooms. Marble sills for all windows. Decorative dado tiles above platform. Provision for split A/C, Telephone, lights, fans, TV & Cable Points. Fire resistant cabling for the entire flat. Shuttered plug socket to avoid accidental contacts. Provision for exhaust in all toilets and kitchen. Individual Washroom for all offices. Genset Backup for all office and common areas. Drinking water connection in each office. 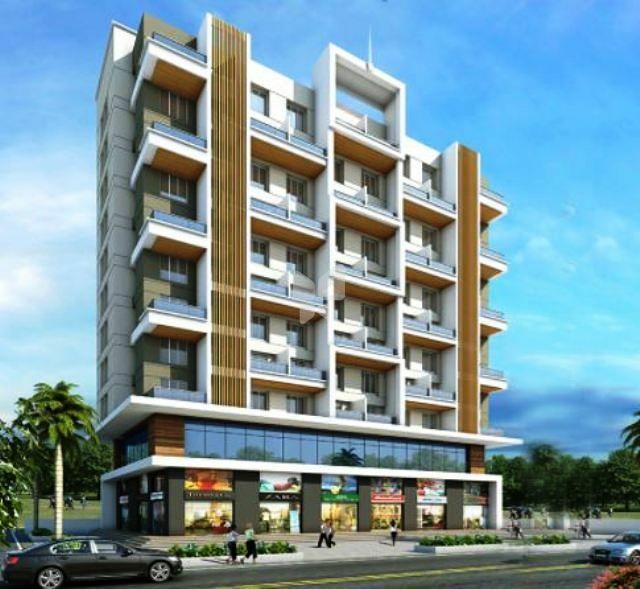 Ravinanda Landmarks is a pioneer in construction, catering to increasing demand in Pune’s real estate industry. Established in 2011, the company has about 1 million sq. ft. land currently under development with 500 happy families already on board! it is geared to establish its name as a forerunner in Indian real estate.